The Hjelle Jar ~ Or maybe NOT so little! Or maybe NOT so little! Whoa! I wouldn’t have believed it if I didn’t see it with my own eyes!! I love the progression of these two photos. 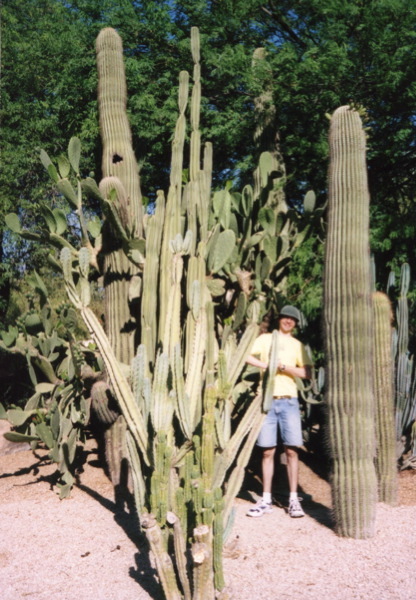 In the first cacti photo it looks like they are maybe 5 feet tall, 6 even, but when you see David in the middle of them, WOW are the big!! !